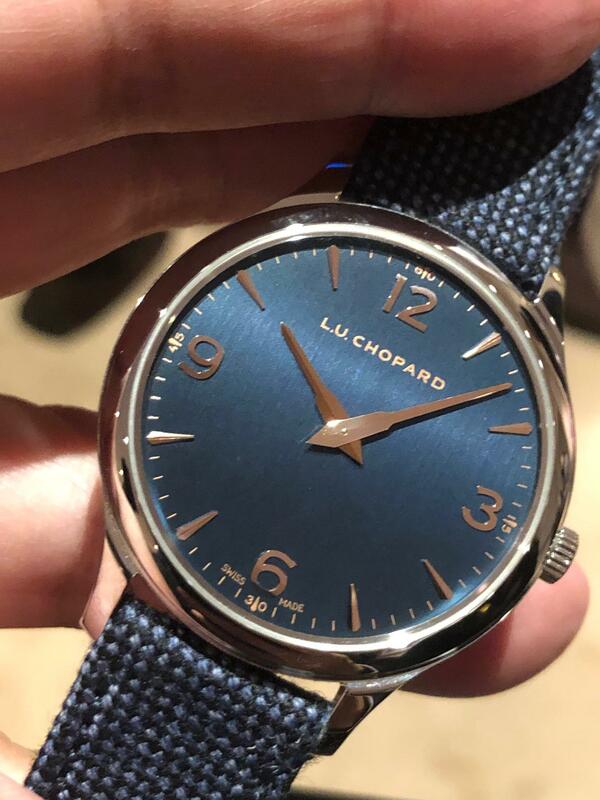 Chopard continues to focus on the LUC. Lots of novelties. Here is a quick run down of the highlights. LUC Flying T Twin. 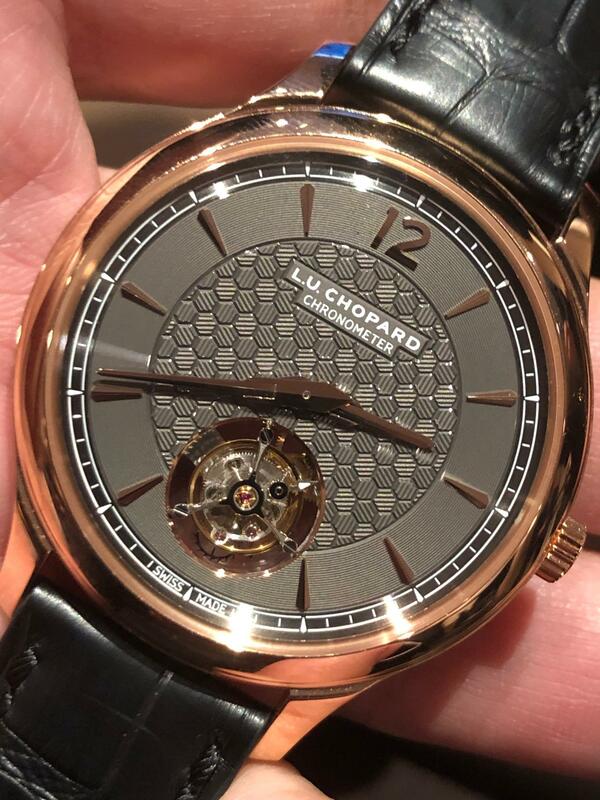 First flying and the first automatic tourbillon from Chopard. 7.2mm thick. Twin barrel 65 hours. With stop tourbillon. CHF 115,000. LE 50. Rose gold. 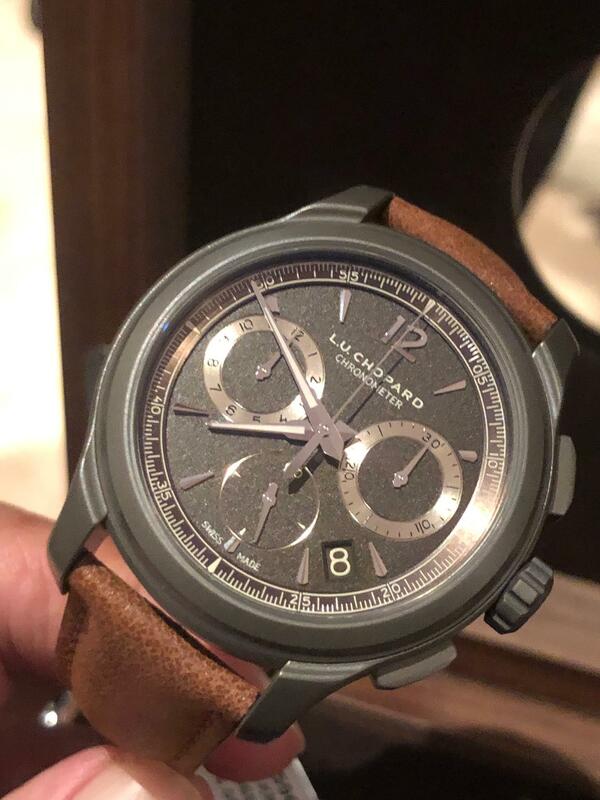 LUC Chrono One Flyback. Two versions in SS case (LE 250) and another in tytalyt case (LE100). In-house Chrono. Tyralit is an oxidized titanium which makes the material at a molecular structure making it harder. Prices CHF28,200 for tytalit. And CHF 26,100 in SS. LUC XPS Twist. Small seconds at 8 and crown at 4. Qualitie Fleurier. LE 250 pcs. CHF 19,800. 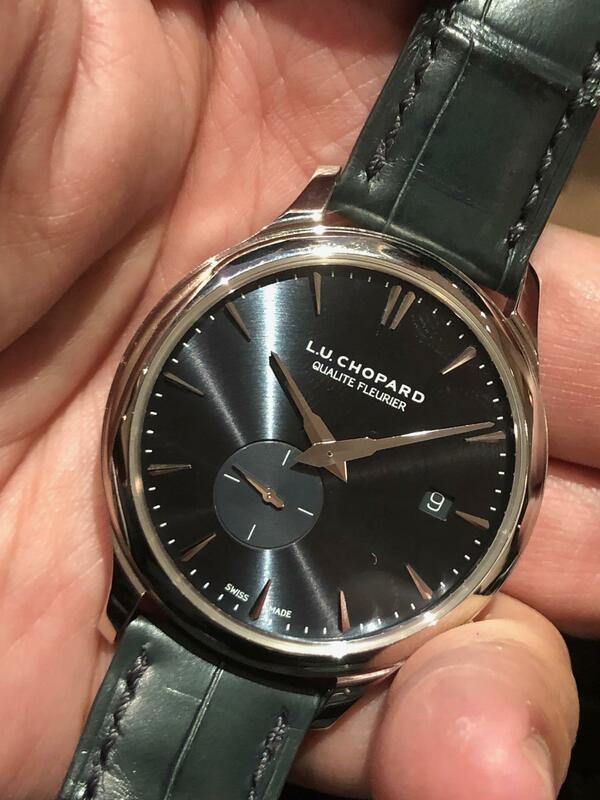 A new LUC Quattro gives 216hr power reserve. Satin brushed dial in grey blue. Limited to 50pcs a year. CHF 25,000. LUC Perpetual T Spirit if the Dragon and the Pearl. Piece unique. Hand engraved – 200 hrs. Perpetual Calendar with Tourbillon. CHF 217,500. We did not handle the Watch. 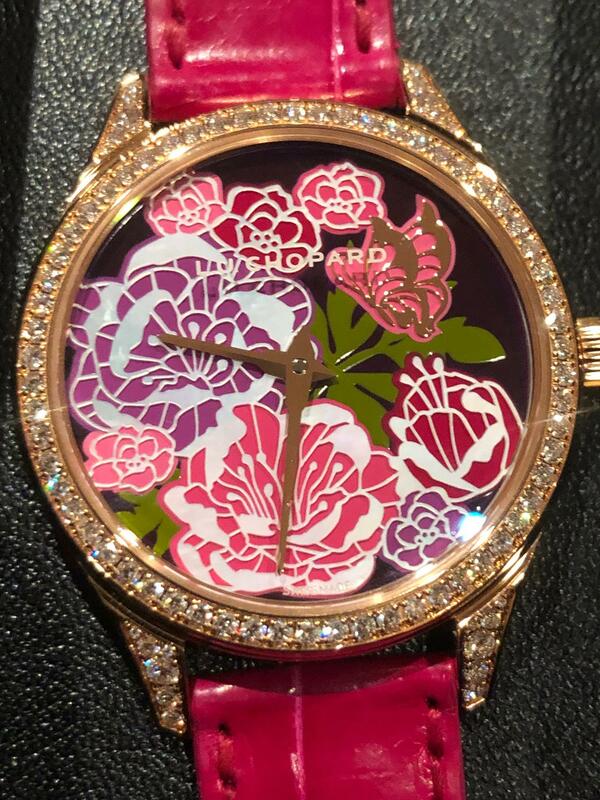 LUC XP Espirit de Fleurier Peony. Ladies piece, dial in hand engraved LUC over a painted dial. Two tone movement with flowers engraved in a fleurisiane technique. LE 8 pieces. CHF 93,000. Mille Miglia also gets an update. The Mille Miglia Race Edition. 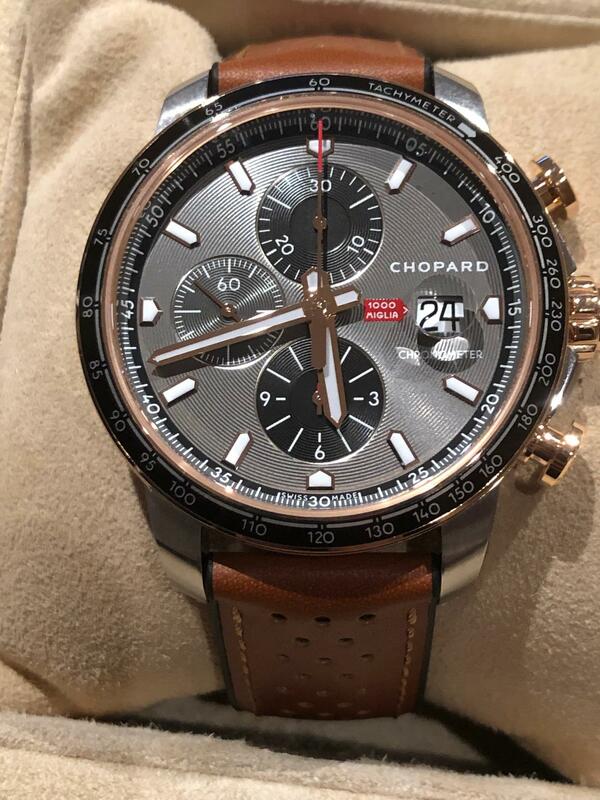 One in two tone SS/RG (LE 1000) at CHF 10,500 and in SS (LE 250) at CHF 7,170. Chrono ETA 7750. Closed back engraved with the chequered flag, COSC certified.